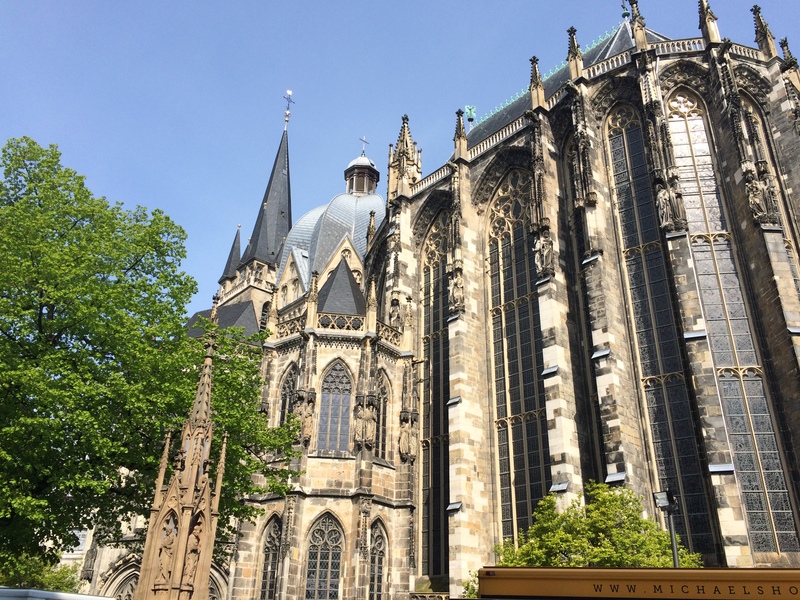 From May 1st through 3rd I had the wonderful opportunity to attend the 12th Annual German Tolkien Society (DTG) Seminar held this year in Aachen. 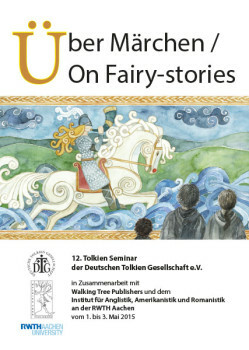 I had high hopes for the conference since the focus was on Tolkien’s seminal work, On Fairy Stories. The conference did not disappoint. The first day featured lectures exclusively in English (which was good for me since my German skills allow me to understand maybe one out of every hundred words), though the presenters were German, Swiss, Irish, and American. Gerard Hynes of Trinity College Dublin delivered the highlight lecture of the day for me on “Theorists of Sub-Creation before Tolkien’s ‘On Fairy Stories'”. He emphasized the uniqueness of Tolkien’s presentation while discussing historical ideas that didn’t necessarily contribute to Tolkien’s thoughts or form a narrative tradition for him to work from, but still created a milieu that made his theory possible. Loved it! Day two was a real standout though. I slid in a bit late to Marguerite Mouton’s lecture just in time to be blown away by a text I hadn’t really paid much attention to before: Tolkien’s little book The Smith of Wooton Major and the included essay by Tolkien on Faerie. Add that one to my list of books to buy. Anca Muntean added more books to my to-read list and gave me lots to think about. But as good as those lectures were, the highlight of the day was meeting Fr. Guglielmo Spirito (Fr. William), Franciscan friar and Tolkien expert. We were chatting before Anca’s lecture and when he found out what I’m working on at Durham he said, “I’d like to read that,” and gave me his card. Recognizing his name from the literature review I conducted last Fall, I decided to hang out with him as much as he would allow, which was, graciously enough, quite a bit. 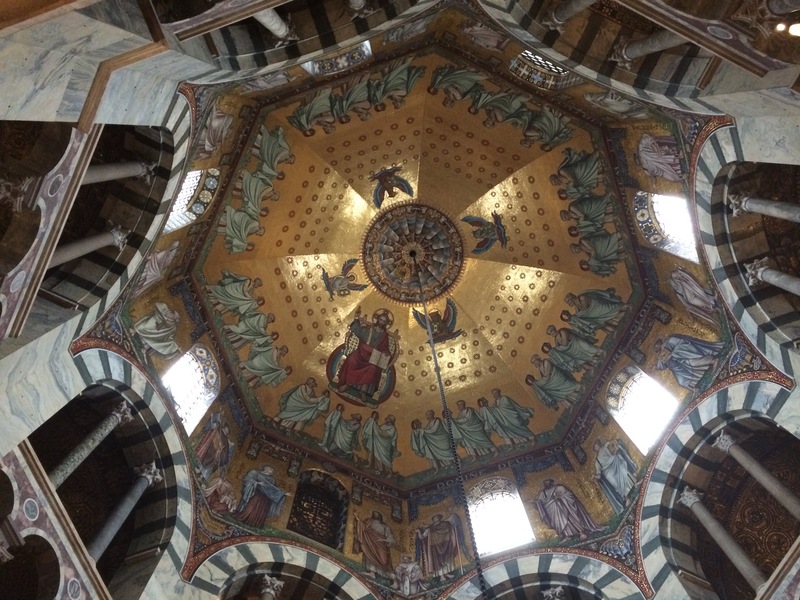 After a delightful lunch with many of the presenters and a grand tour of the Aachen Dom, Thomas Fornet-Ponse left me in the dust with his discussion of Utopias vs. Heterotopias as possible ways of understanding Faerie. I understood some of it, but a lot of it was just over my head. But Claudio Testi brought things back down to a level I could understand with his discussion of Tolkien’s use of Thomistic analogy. He also confirmed something I had been wondering for a few months: Tolkien was familiar with the works of French philosopher Jacques Maritain. Good to know! And finally, day three was a delight. Fr. William kicked us off with a brilliant (and totally applicable lecture) “Children are meant to grow up, and not to become Peter Pan” in which he stressed that Fairy Stories should return us to the Primary World, but further they should lead us to live changed lives when we get back. Absolutely! Fr. William’s discussion of what it means to live a changed life was right on point for the work I’m undertaking. Next, Lukasz Neubauer discussed Tolkien’s Christianization of the Old Germanic literary trope of the beasts of battle through the utterly awesome and eucatastrophic eagles. Absolutely fascinating! And the brilliant Thomas Honegger ended things with a look at Tolkien’s Sellic Spell and Beowulf. I thoroughly enjoyed my time at the conference and hope that this is not the last of the DTG seminars I have the opportunity to attend!